There was an outcry recently when Corsair announced it would be selling dummy RGB memory modules, with plenty of subsequent reports criticising the move as a pointless exercise and a waste of money and everything in between such as calling the kits fake and generally stating they're a stupid idea. My view is that anyone that criticises this move has probably never seen RGB memory in the flesh and is completely oblivious to RAM prices as well. Here's why. I've tested pretty much all currently available illuminated RAM including RGB kits from Corsair, Aorus, G.SKill, Team Group, Crucial, and HyperX. Some look better than others, but something struck me when I was testing a quad-channel kit. I placed all four modules into the left side DIMM slots on a quad-channel board, as I suspected their heatsinks were so large they'd actually touch, which they did. However, I noticed that this particular kit - G.Skill's Trident Z RGB - had its illuminated sections of opaque acrylic placed extremely close together like this too. I fired up the system and waiting for the RGB lighting to fire up and was amazed. It looked so much better with the modules sat bunched in adjacent DIMM slots than having them spaced out. 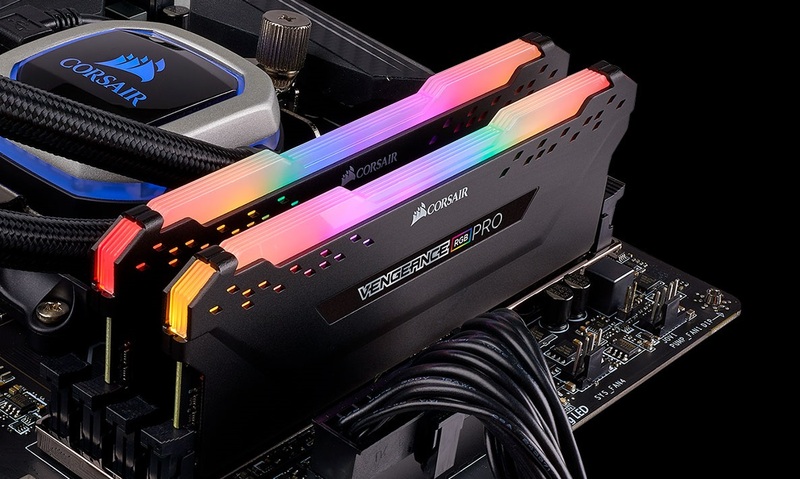 I've noticed the same thing subsequently with Corsair's Vengeance RGB Pro modules, which again have fairly large lighting modules on top that are very close together when they sit in adjacent slots. I've actually gone as far as saying the visual impact is massively impaired using two modules on a four-slot board, or four modules on an eight-slot board, and have recommended that where possible potential buyers opt for kits that fill all the slots available. If you've seen the difference in person, I have no doubt the majority of you would agree with me. If you've been drawn to RGB lighting on your memory and were willing to spend more for it, then it's probably crossed your mind too. Having two RGB modules in a four slot board looks good, but grouping four together just completes the picture - it's like there's something missing with just two, almost defeating the point of paying the premium in the first place. However, there have been two big issues with filling up those DIMM slots, especially if you're looking to opt for a higher capacity kit with more modules to achieve the above. For starters, memory prices have been sky-high, meaning you'd often have to spend a ridiculous amount to step up and acquire the extra modules. Most of us aim for 16GB these days, and with most kits, 8GB modules are the minimum capacity. Corsair's Vengeance RGB Pro is an example of just this. A 3,000MHz 16GB kit of two 8GB modules will set you back around £150 - considerably cheaper than a few months ago mind you, but as there are no 4GB modules, there's no way to use a 4 x 4GB kit to fill all your slots - you're forced to make the often-pointless move to 32GB. Not only this, but you're spending twice as much, an extra £150, just to fill all your memory slots. So, what if I told you that it's possible to do that not for £150 but for £30? Seems like a good deal, right? Well, that's exactly what Corsair has announced - a so-called dummy kit of memory modules that look identical to full DIMMs but only have the necessary hardware to appear physically the same, light up in the same way, and communicate with Corsair's software via the SMBus. They don't have any memory onboard at all - they're just designed to fill those gaps with identical-looking RGB modules, meaning no one will ever know you're not rocking an expensive four- or eight-module kit. 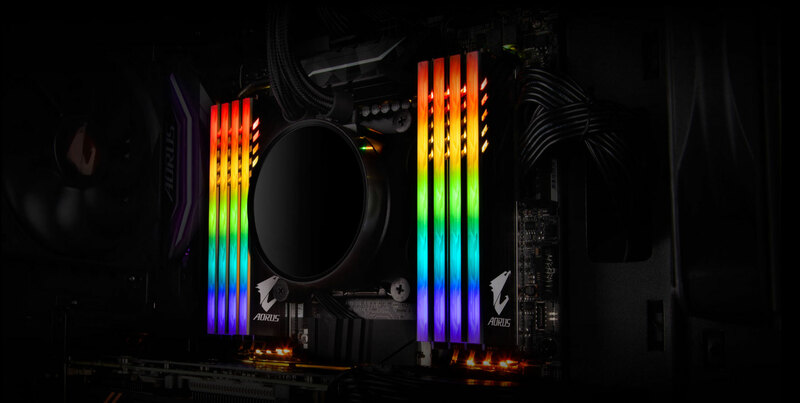 Yet for some reason Corsair and Gigabyte, the first to do this with its Aorus RGB memory that included dummy modules with real modules in its kits, have both been the target of criticism. I can only assume that those at the source of it either haven't a clue what they're talking about, have never used RGB lighting, or at least haven't compared spaced modules to adjacent ones and seen how much better they look - after all, you've probably spent around £30 extra to get RGB memory in the first place, so what's £30 more when you can go from 'ooh' to 'wow, that looks amazing'. In addition, I really don't see what's silly about spending £30 instead of £150 to make your RGB memory look ten times snazzier.